Worship and church music ministry is a complex and often challenging task, similar to (or, some would suggest, a subset of) pastoral ministry. 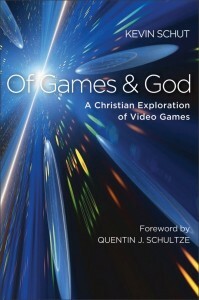 Likely the most significant reason for this is that it finds itself at the intersection of biblical investigation, philosophical inquiry, historical reflection, and real-life practical realities. Yet few people (especially busy ministers) devote themselves to a thorough grasp of essential ideas in each of these critical arenas. Most ministers of music and worship recognize the importance of understanding what Scripture has to say about their work, yet they may have little time to wrestle through philosophical quandaries or trudge through the bogs of history past. 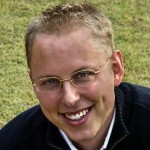 On the other hand, students and scholars of worship and music ministry may relish the hours of research as they prepare to debate the finer points of aesthetic philosophy or pontificate about liturgical theory, but they remain chained in their ivory towers, unable to direct their efforts to the practical life of local church ministry. In Galatians 3:3, Paul poses to his readers a rhetorical question: “Are you so foolish? Having begun by the Spirit, are you now being perfected by the flesh?” To Paul the obvious answer is: Having begun by the Spirit (through “hearing with faith,” Gal 3:2), of course you’re not now perfected by the flesh! In fact, Paul declares that it would be “foolish” for the Galatians to think so. Having begun by the Spirit, the continuing work of being perfected will be undergirded by the Spirit as well. Paul is highlighting an important principle of the Christian faith: God commits Himself to complete the good work He has begun in us (Phil 1:6). The Holy Spirit comes alongside to work in us and with us in the process of living the Christian life. 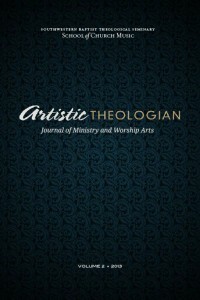 In his article titled “Why Pastors Should Be Learned in Worship and Music” in volume one of Artistic Theologian, Kevin T. Bauder offered nine propositions outlining the necessity of musical and doxological training for pastors. 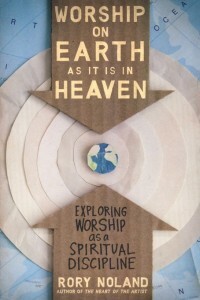 The present work serves as a companion piece to Bauder’s thoughtful rationale and seeks to offer a similar argument for the theological training of worship leaders and church musicians. 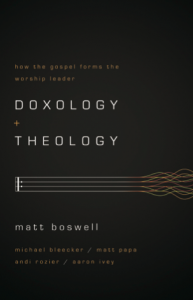 My observations and insights emerge from more than fifteen years of worship leadership in the local church and nearly a decade of graduate theological training. 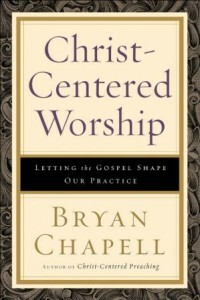 Whereas Bauder proposes the immense benefit of musical and worship instruction for a pastor without deeming it a necessity, it is my belief that a worship leader cannot possibly hope to have a long-term ministry that guides a congregation in worship informed by biblical principles, provides a vehicle for spiritual formation, and serves as a consistent Gospel witness without some level of theological training. The essential nature of theological training for the worship leader finds support from the witness of Scripture, the nature of worship itself, the structure and content of worship, the pastoral role of the worship leader, and the example of hundreds of years of Christian history. Worship practices have dramatically changed in evangelical churches during the last two decades. Drums and guitars have moved from the Friday night youth services to Sunday morning. The choir has set aside its robes and hymnbooks and has shrunk to an ensemble called a worship team. Conservative evangelical members are clapping and lifting hands in praise. Even a well-seasoned pastor can be seen lifting his hands, though often in a discreet waist-level opening of the palms in an upward direction. Some people are uncomfortable with hands being lifted during worship services because it is new. Others are irritated because they see lifting hands in worship as a move towards rowdy behavior. While still others are distressed because they see it as a move toward a charismatic worship tradition that they believe might be theologically incorrect. However, those worshipers lifting hands are not trying to offend; rather, they are just expressing themselves. 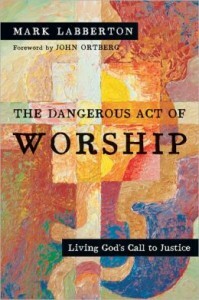 Some even justify “lifting hands” by quoting Scripture and saying that Christians are commanded to worship in this way. 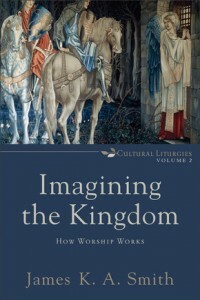 The public worship of the first-century church has long been a subject of scholarly interest. However, we still know surprisingly little about what actually took place by way of formal order when the community of faith gathered. For one, gatherings took place mainly in house churches, away from the eyes of society at large. 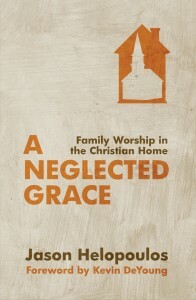 Second, although there is much to observe about the practice of the Christian community in the NT, there is comparatively little in the way of a detailed liturgy, and we should be duly cautious about the tendency to assume that a set order for public worship was practiced empire-wide in the early church. Third, we should be equally guarded about assuming the liturgy discussed by the Apostolic Fathers was practiced the first century, since we cannot establish for certain what traditions they represent, nor how widespread those traditions were. 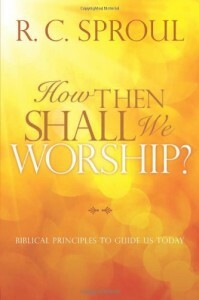 Given these challenges, the most that we can do toward establishing the liturgical content of first-century Christian assemblies is cull and examine those elements of worship discernible in the NT documents, where the authors address specific communities with individual issues or “crisis points.” With this goal in mind, scholars have given much attention to public worship in writings such as Acts or the Corinthian Letters—those portions of the NT that contain major evidence for early Christian baptism, the Lord’s Table, singing, and gathering in general. 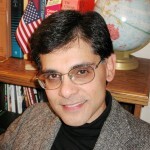 But the NT writings such as the Pastoral Epistles, in which the subject of worship does not appear to be a central idea, are often marginalized in the relevant literature. 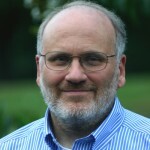 This is unfortunate, for if the NT authors address specific issues—including matters of public worship—in response to ad hoc situations as they arise in Christian communities, then focusing only on the major texts may cause us to overlook or ignore vital lessons of first-century Christian worship discernible in other contexts. 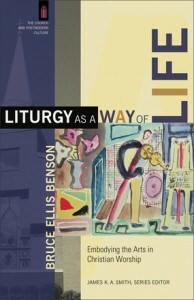 The purpose of this essay, therefore, is to call attention to liturgical elements of worship in the Pastorals in particular, and to make observations about early Christian liturgy as seen within these epistles’ unique setting. Although references to music and musical instruments in Scripture abound, their appropriation in the ongoing music wars leaves something to be desired. Often texts are carelessly mustered to support the views of both purists and progressives, resulting in unrealistic polarities: the sacred music of the Bible is regarded as either a carbon copy of the hymns of Wesley and Watts or the bouncy forerunner of rock and roll. Neither position is sustainable. 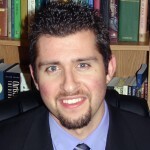 Scriptural witnesses to music seldom yield that level of correspondence and most have only limited value in the debate. When they do contribute, they most often do so obliquely. Nevertheless, it is necessary to call attention to two passages that furnish indirect but important insights for our evaluation of musical styles—bearing especially on the question of anti-music within Christian culture: 1 Corinthians 14:6–11 and Exodus 32:17–18. 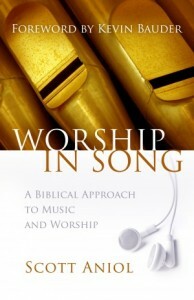 By means of these texts, this article will argue for the following points: 1) 1 Corinthians 14:6–11 and Exodus 32:17–18 provide normative guidelines relevant to current discussions of music and its parameters; 2) musical parameters can be violated, resulting in a concomitant deterioration of musical quality and integrity; 3) in extreme cases these violations can result in anti-music; 4) anti-music, which has both biblical and modern manifestations, is rebuked by these texts. The accessible scholarly treatment of Anabaptist hymnody in the past one-hundred years has been modest with respect to quantity, with some keynote publications appearing a decade or more apart. 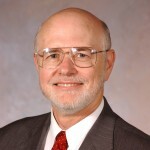 Published academic work has focused on broad categories of interest, such as A. J. Ramaker’s “Hymns and Hymn Writers among the Anabaptists of the Sixteenth Century,” and Harold S. Bender’s short yet often-cited “The Hymnology of the Anabaptists.” Characteristic of these publications and others is the historiographical trend to concentrate on those who penned the extant hymns, rather than the hymns themselves. A positive step in a more specific direction is the scholarly gravitation toward investigating the form and content of the martyr ballad, a particular and prevalent feature of hymnic expression practiced among the early persecuted Anabaptists. 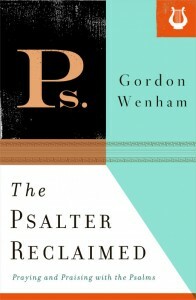 Some scholars have noted that further concentrated study of various categories of hymns and their authors, including both the historical occasions that birthed the hymns as well as their literary content, will help to achieve a deeper understanding of both the thought and passion of central Anabaptist figures and the spirit of the Radical Reformation movement as a whole. 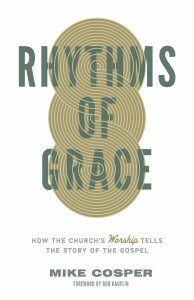 This essay, though far from exhaustive, is an attempt to fill some of the void unaddressed by those who have treated the subject of Anabaptist hymnology on a more general level. The attention herein is directed toward the early Swiss Brethren Anabaptists, namely, Felix Manz, George Blaurock, and Michael Sattler. Proposed in this paper is the thesis that the early Swiss Brethren hymns reveal much of the hearts of these men as well as the historical occasions these early Anabaptists experienced. This claim will be supported by examining and evaluating the provenance, purpose, and literary content of those hymns known to be written by early Swiss Brethren Anabaptists. 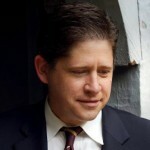 An overall evaluation will highlight the emotional, historical, and theological continuity manifested in these hymns. If the question were to be asked, “Who was the most influential Southern Baptist church musician in the second half of the twentieth century?” the answer would almost surely be William Jensen Reynolds. 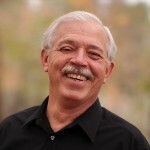 Reynolds served in music ministry in almost every conceivable capacity: as part- and full-time minister of music, as denominational leader, and as seminary professor. He was highly sought after as a choral and hymn director, was a prolific composer and arranger, served as a hymnal editor, and was highly regarded as a scholar and writer on hymnological subjects. In many respects, he represented the growth and maturity of church music as a profession and as a medium for worship in the evangelical world. 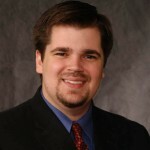 The present article briefly traces Reynolds’s life and career and draws attention to some of his accomplishments in the field of church music. While church music, denominational life, and indeed the world itself have changed considerably since Reynolds’s time, his achievements provide an example of creativity, hard work, and faithfulness to the task that can serve as a model for church musicians today. 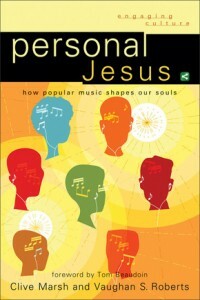 Christ-Centered Worship: Letting the Gospel Shape Our Practice, by Bryan Chapell; Story-Shaped Worship: Following Patterns from the Bible and History, by Robbie F. Castleman; Rhythms of Grace: How the Church’s Worship Tells the Story of the Gospel, by Mike Cosper; Imagining the Kingdom: How Worship Works, by James K. A. Smith. 2 Pings/Trackbacks for "Artistic Theologian Volume 2 (2013)"